I try to make my time management advice "friction free". That is, low effort, easy to get started. I try to do the same with my finances. Any amount of difficulty (friction) can be used as an excuse to not do something. That's why TM4SA put so much emphasis on on my belief that any tool used for recording "todos" needs to be very quick to "jot something down". When you think of something for your todo list you want to be able to jot it down immediately. If you have to go through 3 menus before you can record something... it is easier to justify not recording it at all. "Oh it is such a pain to record that. I'll just remember it instead." As we all learn the hard way, todos that you try to memorize are todos that get forgotten. Financial planning is similar. Once you have a strategy, you want it to be friction free. If people had to manually add money to their 401K or other retirement savings account, each payday, they wouldn't save much money. Because it is automatic, you can forget about it and years later find yourself with a lot of money set aside. Plan once, set it and forget it. Which brings me to today's thought. We're having our house repainted. Damn it is expensive! The previous owner did a crap job that would look good long enough to sell the house to us. We need a lot of carpentry, wood replacement, old paint removal, etc. A good paint job should last 10 years. Therefore I've decided to put aside $100/month so that in 10 years we don't have to worry about whether or not we have the money. Yes, that's a long way away, but if I can set something up "friction free" now, I'll be glad I did later. I used to use Quicken to do this kind of saving. However, Quicken doesn't put the money aside "for real", it kind of sets up a pleasant fiction. When I go to my ATM, I see the full balance. I need more of a "firewall". So, Quicken is nice but I need something that will enforce the discipline a bit stronger. I always thought it would be nice to set up an account for each thing I was saving for but my old, traditional, bank made that difficult. Each account had a minimum, the interest rate sucked until a higher minimum was reached, and so on. It is as if their software system was emulating the way banks worked last century where the overhead of each account was huge. (I won't name my old bank but they're one of the 5 being investigated for illegal activity](http://www.huffingtonpost.com/2011/05/16/foreclosure-fraud-audit-false-claims-actn862686.html)). They aren't buying a huge physical box to store my records. It's a 32-bit value (my balance) but some transaction history! I was pleasantly surprised that my new bank (INGDirect) lets me open subaccounts with no minimums. Their software isn't tied to the past, it acknowledges that the overhead of putting my money in 50 subaccounts is about the same as if it was in one big account. In less than 5 minutes I was able to set up the new accounts mentioned above and set up the monthly transfers to put my new strategy into effect. FIVE MINUTES! I've eliminated the monthly friction by setting up these monthly transfers. Thankfully my bank has made this a lot easier. I wish I had switched banks a long time ago. This month's NYC DevOps meetup has a special speaker: Mark Burgess, inventor of CFEngine, talking on the future of configuration management. And provides this HTML "button" to help spread the word. 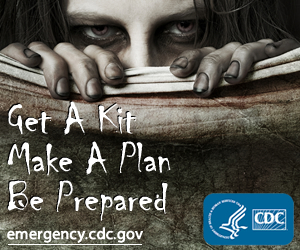 When it comes to disaster recovery plans, is your IT department prepared for zombie attacks? Some people laughed when I tweeted http://goo.gl/3yyKg but now look at this http://goo.gl/XpG03 just 8 days later! This might be a good time to relink to my post called Yes, malware scanners on your servers too! While teaching my Advanced Time Management tutorial at PICC11 I suggested that having an internal Twitter-like service at a company is a useful thing. As a quick follow-up to Making it easier to submit papers to Usenix LISA, here's a tip for writing a good Practice and Experience Report: Work backwards from the "lessons learned". Step 1. Write down the 4-5 things that you wish you knew before you started the project. That is, things that readers will feel they've learned after reading your paper. Step 2. Work backwards from those 4-5 things to figure out what people need to know to understand them (for example, the story of how the project got started, the problems you faced, and how you solved them). You really don't need to include much more. The audience is technical and doesn't need that much hand-holding. If you work out those things (preferably on a whiteboard or index cards) the paper will write itself. I prefer to start on a whiteboard because it prevents me from starting to write paragraphs too soon. We want YOU to submit a paper this year to the LISA conference Really. Yes, you! Whether you are in academia developing new algorithms that improve system administration, leader of an open source project that sysadmins find valuable, or a practitioner in industry that has written new software to improve productivity, we believe there's a paper inside all of you that wants to get out! (Usenix LISA is December 4-9, 2011 in Boston). LISA is also a great venue for student papers: it is a friendly audience and we have a "Best Student Paper" award that pays cash. Submitting a paper to a conference can be intimidating, a lot of work and stressful. To make the process easier, the members of the LISA Program Committee (PC) are available to provide mentoring. You can bounce ideas off of us by email or phone, we'll proofread your drafts, and we'll try to answer any questions about the conference or submission process. Just write, "assign me a mentor" in email to the conference co-chairs at [email protected]. Mentors can help turn your accepted abstract into a "print ready" final draft. We'll also work with you over video chat to rehearse and strengthen your presentation for the conference. 2. You don't have to submit a full paper. It can be heartbreaking to write a complete paper only to learn it wasn't accepted for this year's conference. Papers are 8 to 18 pages; that's a lot of writing. In recent years about 20 of the approximately 80 submitted papers were accepted. While you may submit a complete paper, we also accept an "extended abstract" of 4-8 pages. You only write the full paper by the publication deadline if your abstract is accepted. In an extended abstract, you document the meat of your paper. You want to make sure you don't leave out important points such as what you have achieved along with how you achieved it. Phrases like "the full paper will reveal the new algorithm" don't allow the PC to evaluate your efforts. Working with a mentor can help you through this process to ensure you submit the best abstract possible. 3. You don't have to be a scientist. "But I haven't invented anything!" Refereed Papers describe work that advances the art or practice of system administration and are held to high research standards. However, LISA has an additional category called "Practice and Experience Reports" (PER) that describe a substantial system administration project whose story reveals lessons worth sharing. In other words, you did something awesome and want to tell the world about it so they can learn from your mistakes (Did I say mistakes? I meant "learn from your awesomeness".) Actually failures are often worth documenting as we learn the most! A PER is judged on the basis of whether it addresses a pressing or rising need in the industry and the usefulness of the lessons learned. If accepted, a final draft of the full report (4-10 pages) is due by the publication deadline, just like refereed papers. The first paper I presented at a LISA conference would have been a PER, if the category had existed then. That was 1997! My paper wasn't rocket science (or even computer science), but we were able to explain some valuable insights into what to do (but mostly what not to do). We're also looking for proposals for general "Talks", special Q&A talks called "The Guru Is In", and "Poster Session". Every PC member is currently reaching out to friends, calling universities, and visiting user groups to encourage people to submit papers. We'd love for you to announce the Call For Participation at your local user group meetings (and we'll give you a little gift if you do). Let us know if you're interested in getting more involved by participating on a future PC. LISA11 is making an extra big effort to seek out new papers and new authors. We're doing outreach, we're making the submission process easier, and we're providing mentoring. So, if you have never submitted an abstract to LISA, maybe this is your year. Contact us if you are on the fence. Maybe we can answer your questions and concerns to put you on the path to successful author. The submission deadline is June 9, 2011. That may seem far in the future but it creeps up on us very fast. Start brainstorming your paper now and we look forward to receiving your submission soon! Submission deadline: June 9, 2011, 11:59 p.m. PDT: Extended abstracts, papers, experience reports, and proposals for invited talks, workshops, and tutorials.